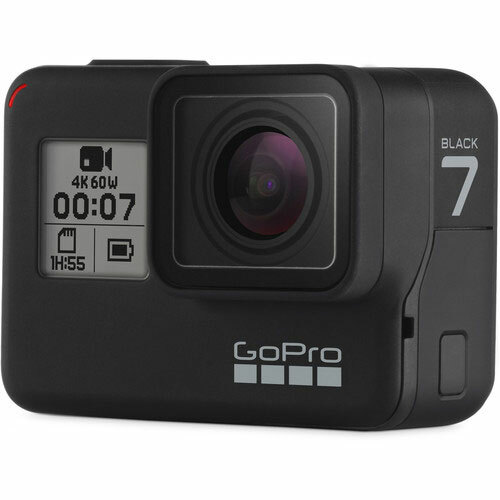 The brand new GoPro HERO7 Black camera hire, now available for rent from RENTaCAM Sydney, offers the best of the preceding models, features plus many new, super-creative ones. For example, the Gopro HERO7 Black camera is designed to be used, in addition to the standard way, in portrait orientation. It can physically be turned into a portrait mode and shoot portrait photos. And those you can seamlessly upload to social media sites. The HERO7 Black captures up to Ultra HD 4K resolution video at up to 60 fps. Applies built-in HyperSmooth Video Stabilization to let you get smooth, professional-looking video. HyperSmooth is a gimbal-like stabilization that feels out and predicts your movements and compensates for camera shake. Other recording resolutions include 2.7K at up to 120 fps for slow motion, and Full HD 1080p at up to 240 fps for super slow motion. Still images can be captured in up to 12MP resolution in bursts of up to 30 images per second. The camera is waterproof without a housing down to 10m and supports an optional dive housing that will let you go even deeper. GoPro HERO7 Black camera is available for rent or hire from RENTaCAM Sydney.